It’s simple: when your drive shaft breaks down, you will be unable to drive your car. Your drive shaft is one of many components needed to appropriately power your automobile. Responsible for transferring power from the gears to the wheels, it is absolutely vital to your vehicle’s overall operation. This is why it’s important to be ever-cognizant of the state of your drive shaft. How can you achieve this? By always keeping your eyes and ears open for few specific signs. Without further ado, here is how to know if you need drive shaft repair in Villa Park, Illinois. Regardless of the state of your vehicle, it’s bound to vibrate at least a little bit. This is completely natural, particularly for older cars. However, there is a point at which vibration becomes a cause for concern. In many cases, it’s indicative of a faulty drive shaft. Drive shaft vibration will typically present itself on the bottom of your vehicle. If your drive shaft needs to be repaired, you will likely feel a rumbling in your seat. In any case, if your vehicle is experiencing excessive and noticeable amounts of vibration, it’s wise to have it inspected. Excessive vibration, regardless of where it’s coming from, is almost always a sign of a problem. Do you feel like you have to struggle to turn your steering wheel while driving? If so, there could very well be something wrong with your drive shaft. Your drive shaft is partially responsible for turning the wheels on your car. When it becomes impaired, turning the wheels becomes more strenuous and difficult. It should be noted, however, that other car components can also create troubles with turning. Unless you’re an experienced auto mechanic, you might have trouble pinpointing the exact problem. We recommend that you see a professional mechanic as soon as possible. U-Joints are a vital component in any drive shaft. Unfortunately, over time, as stress is put on these joints, they can start to buckle. Eventually, these joints could break apart, causing severe impairment to your drive shaft. When this happens, you’ll likely know right away. How will you know? Your vehicle will emit loud, thudding noises. If you’re hearing loud clunking, slamming, or thudding noises, we highly recommend that you see a mechanic as soon as possible. Continuing to drive with noises such as these could ruin your vehicle entirely. When you’re driving your car, there is only one set of noises your car should emit: engine noises. If you’re hearing other noises from your vehicle, your vehicle has probably encountered a problem of some kind. In the case of faulty drive shafts, squealing noises often present themselves. If you’re hearing squealing noises constantly for 2 days or more, you likely have a problem on your hands. Be aware: squealing noises can also come from deteriorated U-joints and worn-down brake pads. However, regardless of where they’re coming from, it’s wise to have your vehicle inspected by a professional auto mechanic. 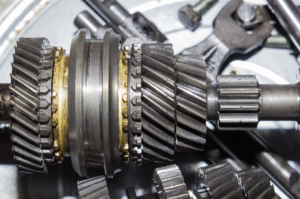 Are You in Need of Drive Shaft Repair in Villa Park? Is your vehicle making strange noises? Is it vibrating more than normal? In need of drive shaft repair in Villa Park, Illinois? King Transmission can help. In business since 1954, we’ve repaired a wide variety of drive shafts throughout the years. Regardless of the make and model of your vehicle, we have you covered.